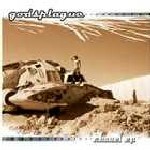 Godsplague's music is a mix of heavy, downtuned guitar riffs, overdriven bass and powerfull drum grooves. And on the top of you have vocalist Nicos ultimate growl a'la Phil Anselmo & Mike Patton, just to name a couple of references to get the idea behind the Godsplague sound. If Black Label Society, C.O.C. 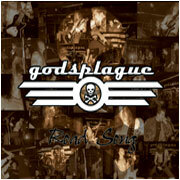 & Down get your juices going, heads banging & fists shaking, Godsplague is The Band For Ya.